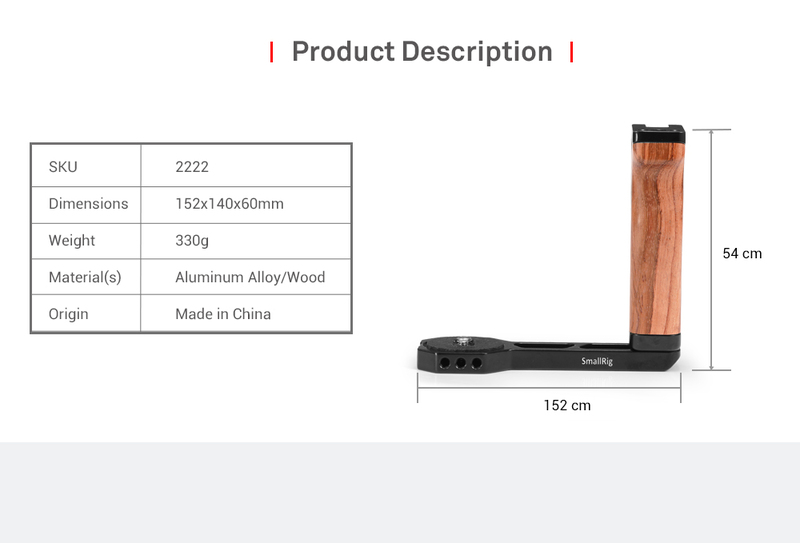 1.Universal wooden side handle to provide comfortable handheld shooting. 2.Multiple 1/4”-20, arri 3/8”-16 locating holes and cold shoe for accessory attachment. 3.Compatible with the original tripod mount of gimbals. 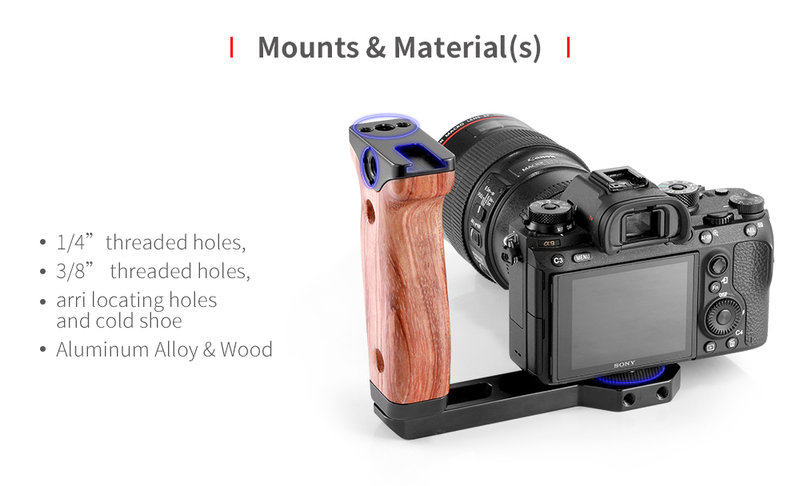 4.Features 1/4”-20 and 3/8”-16 threaded holes on the bottom allows attaching tripod plate. 5.Works perfectly with RoninS with both 1/4”-20 and 3/8”-16 screw connected. 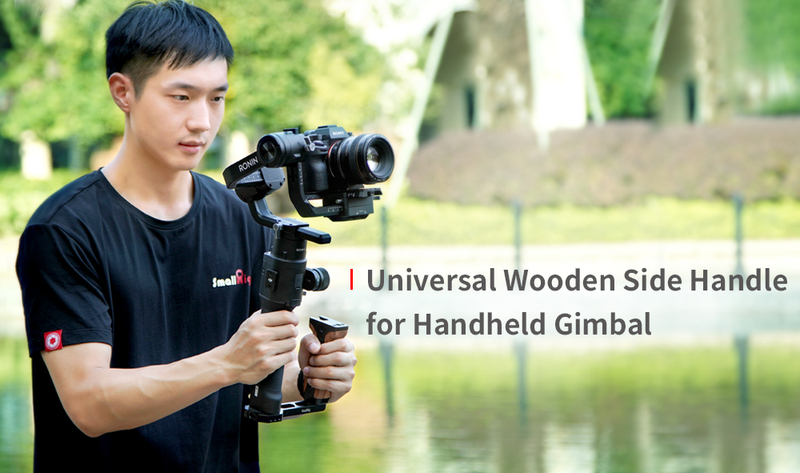 SmallRig Universal Wooden Side Handle for RoninS/Zhiyun Crane Series Handheld Gimbal 2222 is designed to provide multiple mounting points and better handheld shooting for gimbals. 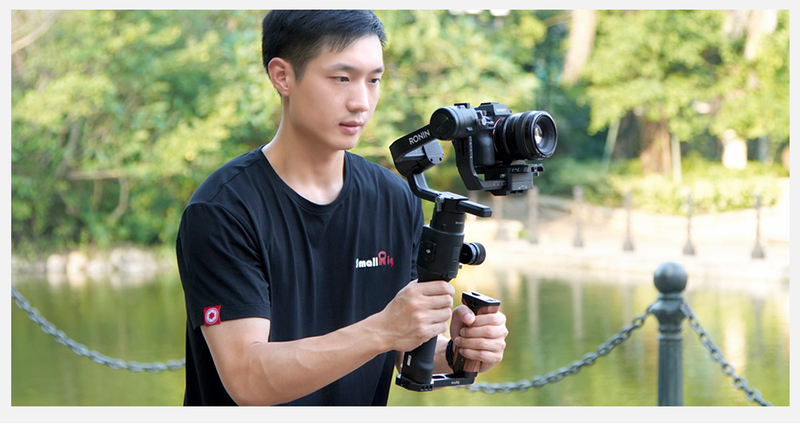 The comfortable side handle is attached to the bottom of gimbal via a 1/4”-20 or 3/8“-16. It enables you to hold the stabilizer with two hands to reduce the weight stress on one hand. The durable side handle features multiple 1/4”-20, arri 3/8”-16 locating holes and cold shoe for accessory attachment. 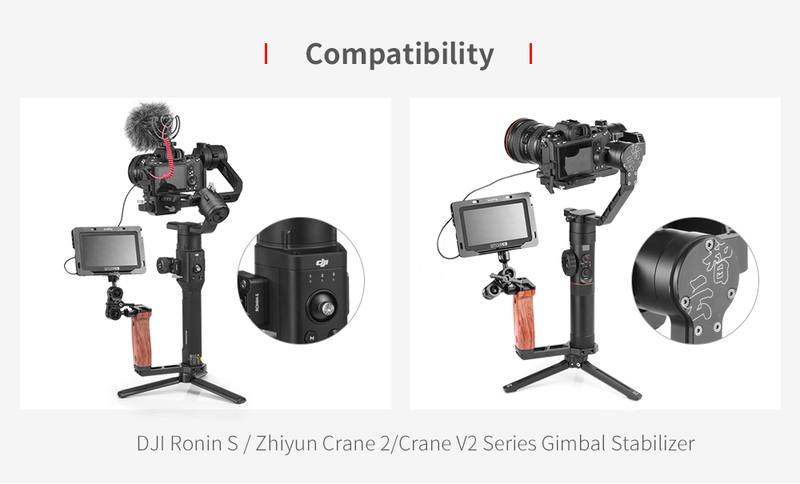 Additionally, it is compatible with the original tripod mount of gimbals. The bottom 1/4”-20 and 3/8”-16 threaded holes allows for attaching tripod plate if necessary. 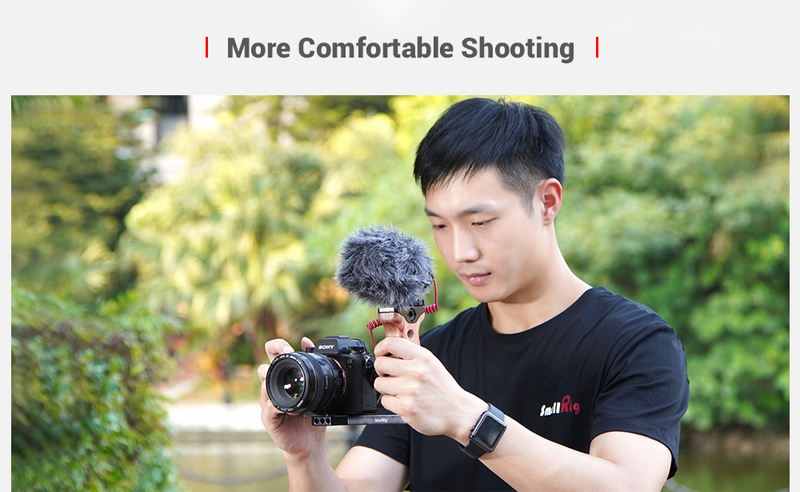 Le meilleur accessoire pour améliorer la prise en mains de son stabilisateur ? Warm to the touch. Immensely helpful with balance. Lots of threads for adding other stuff including a monitor. La poignée est vraiment génial. Elle est vraiment légère et on peux installer un moniteur et/ou un micro sans-fils. C’est exactement ce qui manquait au Ronin S.
Perfect match for my Ronin-S. Will always use this with my ronin to mount my monitor. The wooden grip is comfortable and the overall build is solid.